RE: How accurate this windy.com is ? @karlosgm Windy strives to be as accurate as possible. 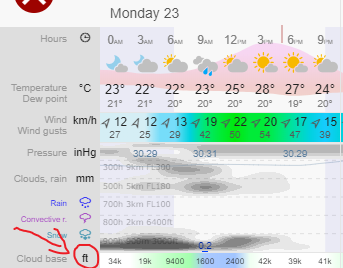 There are several different weather models available on Windy. The ECMWF is probably the most accurate. ICON EU is a new model introduced here a couple of months ago and can forecast most of Iceland. It is also very accurate. The GFS model is another good model but doesn't work too well in my part of the world. You might have a better experience with it in Iceland. Everybody has a different experience when using windy. So give different models a try and get used to the site to get the best results. And wind gusts are already a feature on windy. Try clicking on the more layers button on the right layer menu, there should be a selection of many different layers where wind gusts should be near the top. I found China's official data server to their weather models and radar and a few other things. I thought either the radar or their global and regional weather models might be cool to add eventually. All you have to do is sign up which seems like anybody can do then download the data. @Dilling That is not an option yet, but it might be in the future. RE: Always bad weather here? @privateer2001 The wind animation should still be working. It must be just on your device. Can you confirm that the particle animation toggle is on? Also, what browser and operating system are you using to access Windy? Are they fully up to date? Finally, you might want to check if your graphics driver is up to date as well. @Jonno53 Windy doesn't own any of the weather models we use. Any every model makes mistakes sometimes, even the ECMWF. It is good practice to look at some other weather models for comparison. Today I got some exciting news from my countries meteorological service (CMC). On Wednesday, September 6, 2017, the CMC finally finished installing their new supercomputer that they announced last fall. It now packs the equivalent of one petaflop of computing power, which is now comparable to other weather agencies. RE: Please fix temp, we need F° please!